The BCM-400 ISO 22301 Business Continuity Management System Manager or BCM-400 ISO 22301 BCMS Manager course is an advanced level course designed to equip participants to with an in depth knowledge on how to implement, manage and maintain a maturing BCM plan and team. It is a follow up course to the BCM-300 ISO 22301 Business Continuity Management system Implementer course. Business Continuity Certified Expert (BCCE) Certification is awarded to participants who have successfully passed their Qualifying BCCE examination. An application form detailing their 3 years of Business Continuity experience would need to be submitted along with the SGD150 application processing fees. Only those deemed to have the necessary and relevant experience would be granted the certificate. Certifications are awarded by an independent group of BCM Institute certification assessors. This course incorporates a 150-Multiple Choice Question electronic exam on the next day. The duration of examination is 3 and 1/2 hour. 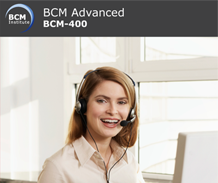 Candidates who achieve a passing score of 75% or higher are eligible to apply for the BCM Institute’s Business Continuity Certified Expert (BCCE) accreditation. The course fees includes 1 Qualifying BCCE examination and 1 Qualifying BCCE re-examination. Malaysians who attend the course in Malaysia are eligible for HRDF funding, do contact your company’s HR department to confirm your maximum funding eligibility. BCM Institute will conduct the course only if there are sufficient participants. BCM Institute reserves the right to alter the course content, alter the course location, cancel or reschedule the course at any time without liability. Participants would be able to defer their courses for cases of course alterations.